With the suprising approaches of advertising language, consumer products gain a delicious dimension. In metropoles, shopping malls provide closed spaces for daily life. These strategies defined by consumer culture are communicated to the consumers through posters. In Turkey, genetically engineered products have been legally accepted and advertising is complicit in normalizing these products. The seductive visuals of advertising posters are central to the acceptance of these products. My aim was to look for a way to deconstruct the instrumental language of advertising. Posters, which have a popular presence in public space are taken out of their aesthetic framework and merged with marginal street art through a performance. 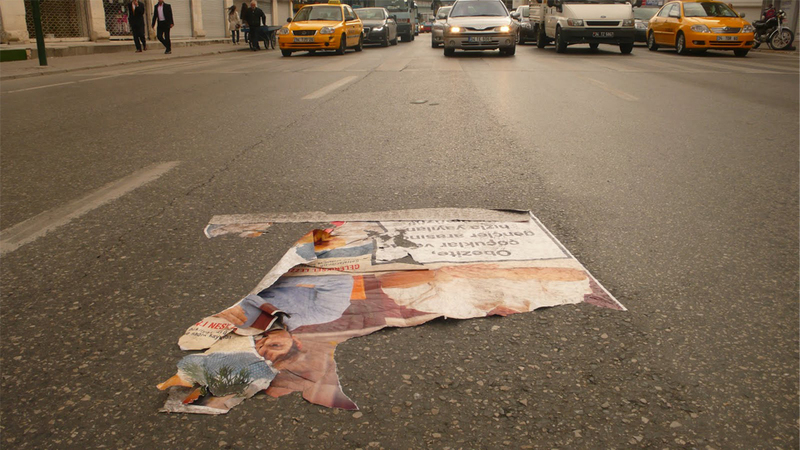 By placing posters related to food products on the road, their aesthetic existence becomes secondary and the cars pollute, destroy them just like they do the environment. 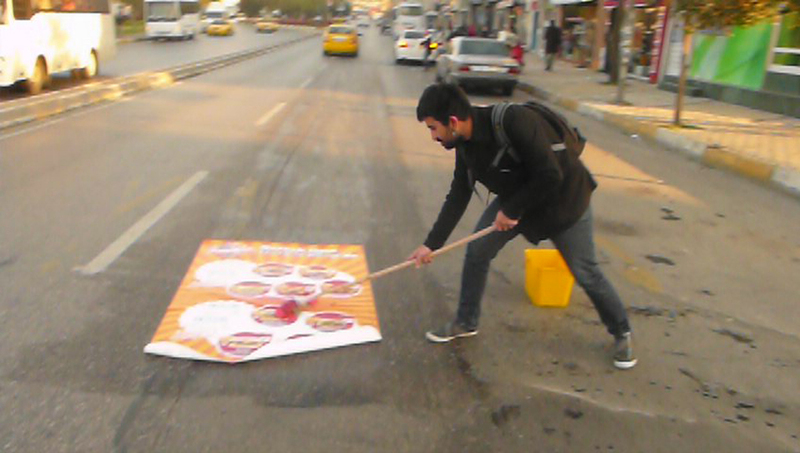 This allows for a strategy that undoes the content of the posters through the intervention of another vehicle.